Gorgeous chunky handmade gemstone bracelet made with pebbles of pink opal,amethyst, crystal, blue goldstone, new jade and howlite chrysoprase and finished with a sterling silver heart clasp. 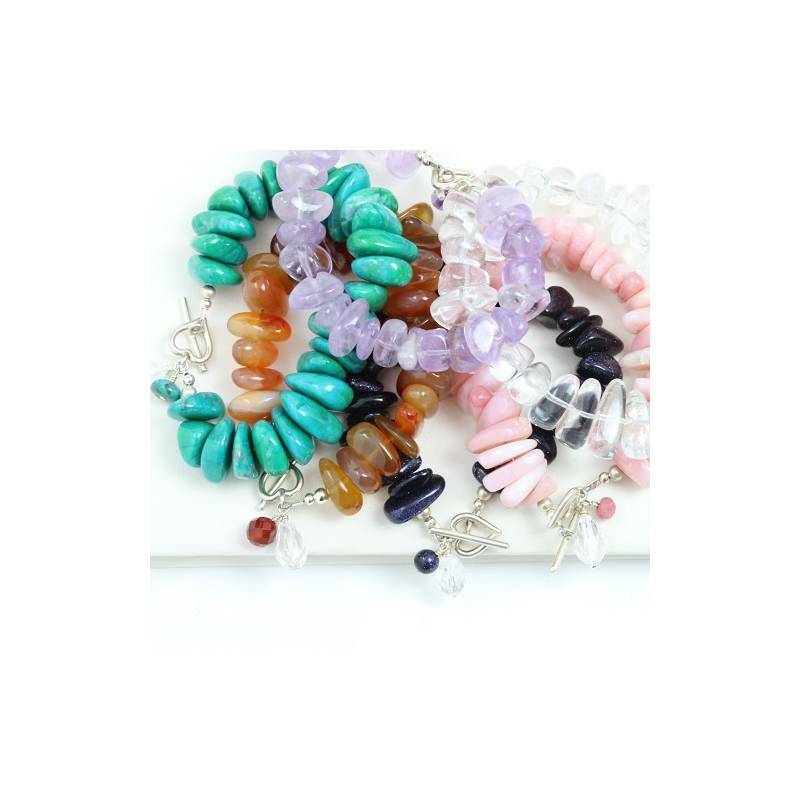 The gemstone nuggets are smooth and tactile and such gorgeous colours. 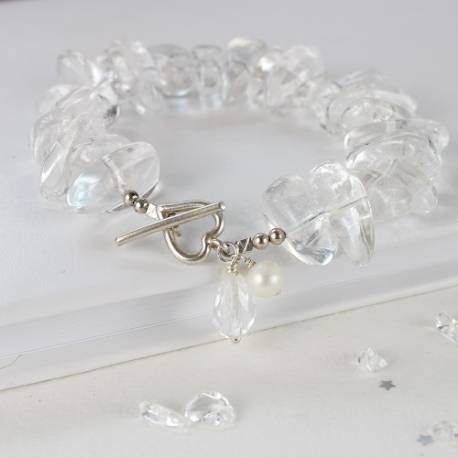 Just to finish off these beautiful gemstone bead bracelets we have added a sterling silver heart shaped clasp and a flawless natural crystal faceted teardrop and matching gemstone bead. Pink opal is said to be the gemstone for love and gentleness. It is also the birthstone for October. Howlite Chrysoprase (turquoise) It is one of the birthstones for Gemini. Carnelian (orange) main qualities are energizing and grounding/centering as well as protective qualities and can fill one with warmth, joyful gratitude and a genuine simple happiness. It is a stone that activates one's flow of inner power and is often recommended for women. Crystal was first found high in the frozen mountains of the Alps. Ancient people believed it was a form of ice crystals that would never melt. It is said to have cooling powers and is a romantic stone. It is the birthstone for April and Aries. 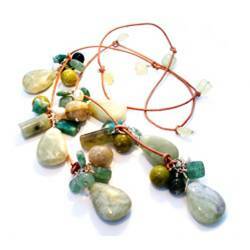 Pale green New Jade, is a beneficial and versatile stone. It is said by mystics to help with emotional cleansing, psychic powers, and attract love and money. Blue Goldstone (manmade). Early monks working at a glass factory near Venice, Italy were practicing alchemy when molten copper accidentally tipped into a molten glass container. This crystallized into thousands of tiny crystals and formed a melt with golden light sparkles and was called goldstone. 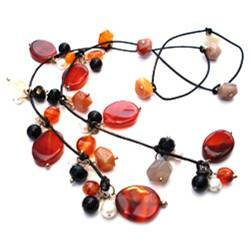 As they are natural gemstones they may vary from those shown in the images. natural rock crystal, amethyst, carnelian, howlite chrysoprase, blue goldstone, new jade and pink opal with sterling silver and a faceted natural rock crystal teardrop. The bracelet measures approx 20cm, If you would like a longer length please do let us know and we can make one just for you.